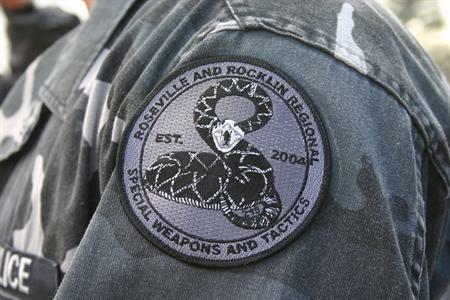 The Rocklin Police Department, in partnership with Roseville PD, maintains a regional Special Operations Unit consisting of SWAT (Special Weapons and Tactics) and CINT (Crisis Incident Negotiations Team). The Rocklin/Roseville PD partnership includes EOD (Explosive Ordinance Disposal) as well. Each department dedicates officers to the team as a collateral assignment. Special Operations Unit teams are on-call and available to respond to critical incidents 7 days a week / 24 hours a day. A critical incident may include barricaded suspects, hostage situations, high‐risk arrests, search warrants or other serious critical incidents. Officers respond to incidents in both of the participating jurisdictions. Due to the specialized skills required for these teams, members participate in regular intense training. This Rocklin/Roseville police partnership has proven to be a very effective use of resources for both agencies.